Raptors get owned by the Cavaliers once again. Where does this leave the Raptors? If they want to really dominate the east. They need another star caliber player. Lowry, and especially DeRozan, just don’t have it in them to win a championship. They’re not championship players. So if the Raptors decide to keep this team together, they need to stack up more talent to be able to overwhelm the east. But I honestly vote against this route. They just don’t have it. Dwane Casey is a really good coach. He improved the offense a lot. I mostly blame the lack of success on the players. But if they’re going in a different direction. He’s likely the first to go. They should trade 2 of the big three. Lowry, DeRozan, and/or Valanciunas. Lowry and DeRozan are both built to be the #2. But they both can’t be the #2. Jonas is solid down low but he’s just not aggressive, instead of dunking he’ll tip the ball back in. He’s just a really good role player. DeRozan is definitely the most valuable. Trade him, get a young player and picks. The Hawks could use a star to rally their young players around, I doubt they’d be a championship contender. But they could maybe get an 8th seed. They have picks the Raptors could use to start a rebuild. The Hornets are a star away from getting to the playoffs. Kemba Walker and Malik Monk(played very well once the coach actually let him play) will take up the back court. Dwight Howard at center, Frank Kaminsky & Michael Kidd-Gilchrist rotate at the 4 spot. DeRozan would be a perfect fit at the 3. Walker, Monk, and Kaminsky stretch the floor. Howard eats the boards. MKG works well in the post. DeRozan can drive, and work that mid-range game. Miami could really use a star with their young core developing. Lowry has value too, trade him for either a young player or picks. May sound funny now, but the Cavaliers would be a great fit. The need a point who can shoot efficiently like Kyrie. Someone who can run the offense, allowing LeBron to play off the ball. Lowry is that guy, only problem is cap space. The Pacers could use a star right next to Victor Oladipo. Vic is about to be an all star, he’s very athletic and finishes with finesse. 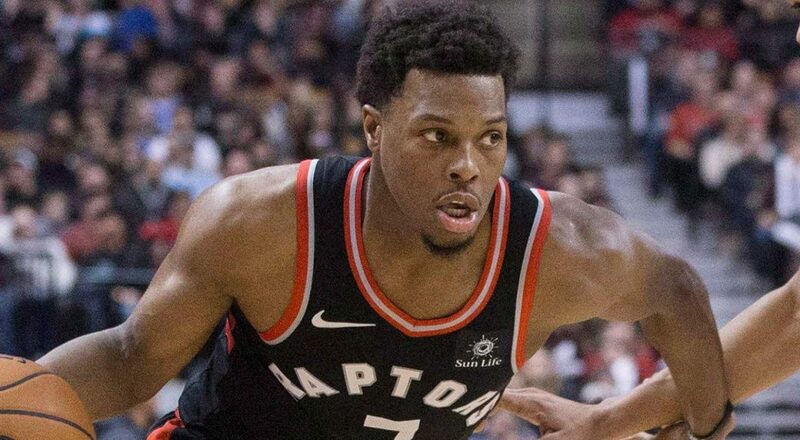 Lowry can compliment him with his volume shooting. The Heat are looking to move Dragic, Lowry could be a nice piece to replace him. Jonas is a solid center. You can get a young player or a couple picks. I think he’d be perfect for the Celtics. Horford is naturally a PF, Jonas at C would give them that big man to really rival Embiid. That would work nice for the team as a whole. Plus, they have picks and young assets for the Raptors. The Spurs are in need of a younger center with Pau Gasol on the back end of his career. Kawhi, Aldridge, and Valanciunas sounds like a really good front court. Kawhi does it all, Aldridge can focus more on scoring with Jonas eating up the boards. I think Pop would love him.